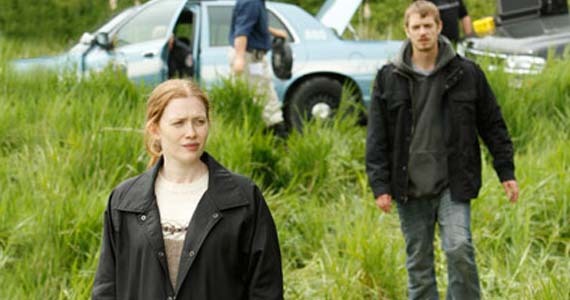 Dreary and methodical, "The Killing" makes for killer TV. In today’s issue of the Tufts Daily, I review The Killing, AMC’s newest drama. Slow and methodical, it’s practically the anti-procedural, but is gripping nonetheless and features some terrific performances. Crime and murder shows are a dime a dozen these days. “CSI,” “Law & Order,” “Criminal Minds,” their multiple spin-offs — it’s safe to say that you could turn on your TV at any moment and find a team of detectives investigating the latest whodunit and trying to bring a killer to justice. Where “The Killing,” AMC’s newest drama series, varies from those shows, though, is that the titular crime is the focus of the entire 13-episode season, not just one episode. Each week’s installment does not tie up a different case in a neat little bow. Instead, the murder is drawn out, giving the audience the chance to see how it actually affects those parties involved.